Dave Hull, aka "The Hullabalooer", is a Los Angeles radio personality voted one of the top ten LA radio personalities of all time. Born Jan. 20, 1934, he admits to being 77 with his personal addition herewith dated Mar. 3, 2011. Hull began his radio career in Armed Forces Radio in Casablanca, Morocco and in commercial radio in 1955 at KGFL in Roswell, New Mexico. He reached Los Angeles' KRLA in 1963 as weekend relief and full time there on Jun. 6, 1964. By the end of 1964, Hull's increasing popularity prompted one young female fan, Suzie Cappetta, to write and record a song entitled "Dave Hull The Hullabalooer", which quickly reached the local top 40 charts by early 1965. Hull became close with The Beatles during their 1965 and 1966 American tours. During that time, Hull taped approximately fourteen interviews with the band. He, along with Bob Eubanks, planned The Beatles' 1966 concert at the Chavez Ravine-Dodger Stadium. His work with the band earned him the honorary title of "fifth Beatle." Hull worked closely with The Beach Boys, The Dave Clark Five and The Rolling Stones during that period. In December 1965, Hull opened his "Hullabaloo" teen club on Sunset in Hollywood. He got his nickname while working at WONE in Dayton, Ohio. Los Angeles radio historian Don Barrett quotes Hull as saying: "A woman wrote me from a hotel outside Dayton to say she couldn't stand all that hullabaloo. Well, Webster's defined it as a 'tumultuous outroar,' so I used it." Dave appeared (using the name David Hull) as a talent contest manager in an October, 1966 episode of "The Monkees". Dave Hull was the first guest host on the nationally syndicated American Top 40 program, week ending November 6, 1971. ] He was heard in Los Angeles at the time on KGBS. Hull hosted the nationally syndicated TV show "Matchmaker" in the late 1980s, reportedly seen in over 100 markets, a video version of his late 1970s "Lovelines" program heard on KMPC. Anaba winemaker Jennifer Marion believes the art of winemaking finds its soul in the vineyard. "I've always said you cannot trust a winemaker with clean shoes and soft hands," she says. "My winemaking philosophy is defined by attention to the details in the vineyard as well as the winery." She coddles each cluster, protecting the unique character of the fruit, and strives to cultivate balanced vines. The entire process — from grape to glass — comes from both her hands and her heart. Jennifer's devotion to the vineyards began when she worked with Napa Valley-based Crop Care Associates, one of California's largest independent agricultural technology consulting firms. At the time, she was completing her Viticulture and Enology degree at the University of California at Davis. 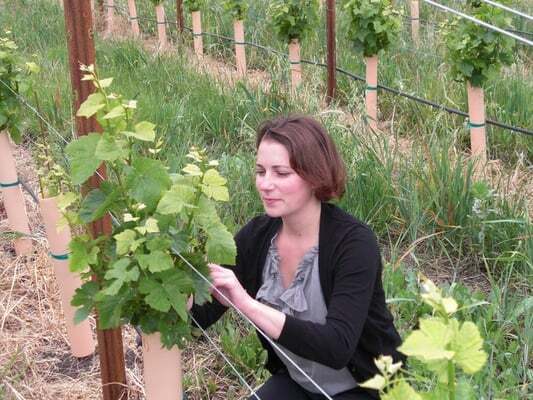 "At Crop Care, I learned what a meticulously farmed vineyard should look like," she explains. As her career advanced and she assumed the role of assistant winemaker at MacRostie Winery in Sonoma, the same high standards she set for growing the grapes also became her mantra or making the wines. At Anaba, Jennifer is director of both winemaking and vineyard operations, enabling her to put her distinct fingerprint on the wine while staying firmly rooted in her beloved vineyards. In addition to overseeing Anaba's estate vineyards, she also works hand-in-hand with many of Sonoma County's most esteemed growers who own such legendary properties as Sangiacomo Vineyard, Windsor Oaks, Ferguson Ranch and Bacigalupi Vineyard. "Anaba is a winemaker's dream," she says. "I have been given access to the best fruit that the north coast soils can grow. We use state-of-the-art tools to hand craft this fruit into beautiful wine and we're committed to all aspects of environmentally responsible winemaking. With John's dedication to absolute quality and his ability to assemble a team of people who bring rare and spectacular talents to the table, Anaba has all the makings of world-class wine." 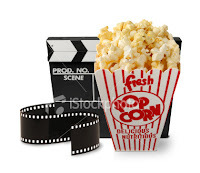 STEVE EVANS - "THE MOVIE GUY"